Congratulations to John M. Hockin, Jr.
RTG congratulates John M. Hockin, Jr., upon his reappointment as Civil Practice Group Leader for Haydn Proctor Inn of Court. RTG has long supported the Inn of Court movement, which promotes professionalism, ethics, civility and excellence among trial lawyers and judges. James M. Ronan, Jr., has previously served as President of Haydn Proctor Inn of Court and remains on the Executive Board. 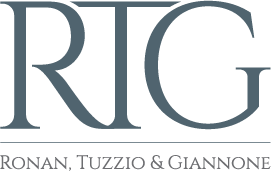 RTG also sponsors membership in this organization for attorneys in the Firm. Congratulations to John M. Hockin, Jr., and his wife, Dana, on the birth of their second child!